As a homeowner, you are constantly making investments in your home in order to ensure it remains a beautiful and comfortable living space for you and your family, and when you are in the market for a new project that can help enhance both of these aspects of your home, investing in new window blinds is certainly a project worth considering. Window blinds come in a wide variety of different material types, styles, and even textures, making it difficult to know at times which option is going to be the right one for your home, but with that being said, two of the most popular options tend to be real and faux wood blinds. If either of these two window treatment options ones that you have been strongly considering for your home, but you aren’t sure which one is going to best fit your needs, there is no need to worry. To assist you in this task, our team of professionals has taken the time to put together this short list of considerations to make while making your selection that can help guide you to the option that is going to be the best fit for your needs and your home. 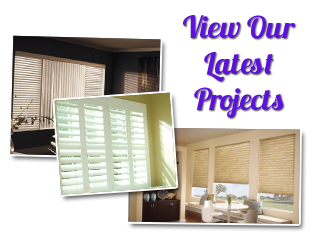 The first thing you are obviously going to want to take into consideration is the kind of visual aesthetic you are looking for from your new blinds. 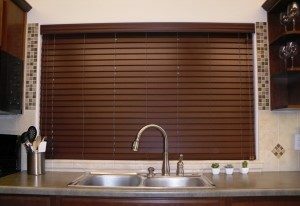 Real wood blinds bring a level of warmth to a room that is almost impossible to recreate, and while faux wood blinds will give you the color and some of the texture that you would get from real wood blinds, they aren’t going to be able to recreate the look and feel of the real thing entirely. Most of the differences between the two materials are going to appear somewhat subtle, but they will be there, and if that difference is going to bother you, it might be better to just go ahead and invest in the real thing. If, however, you are more interested in the wood tone colors and aren’t overly concerned about the minor differences, faux wood blinds can be a great way to get that same look for less. Your windows play a major role in the overall energy efficiency of your home, and your blinds can augment that role to different levels depending on what type of window treatment option you have in place. If energy efficiency is a concern you have in your mind when selecting your new window blinds, real wood blinds might be the better option for you. Natural wood blinds effectively serve as an additional layer of insulation around your windows, and while faux wood blinds will perform in a similar manner, they aren’t quite as good at insulating as the real thing. If energy efficiency is a concern, real wood blinds might be the better option for your needs, but if your windows are somewhat new, or you don’t have draft issues around them, faux wood blinds will serve you equally well. One final aspect you are going to want to take into consideration when deciding which window blind option is right for you and your home is where you are going to be placing them throughout your house. Natural wood can be an excellent design choice in most common rooms of the house, giving you an eye-catching piece of decor that can tie together almost any design, but because it tends to absorb moisture, real wood blinds aren’t usually suitable for any rooms of your home that tend to have a higher humidity than other areas of the home, like bathrooms, laundry rooms, garages, and even basements. In these areas, faux wood blinds are likely going to be your better bet as their synthetic construction means they don’t absorb moisture in the same way, and therefore, aren’t as susceptible to warping and cracking as real wood blinds might be. 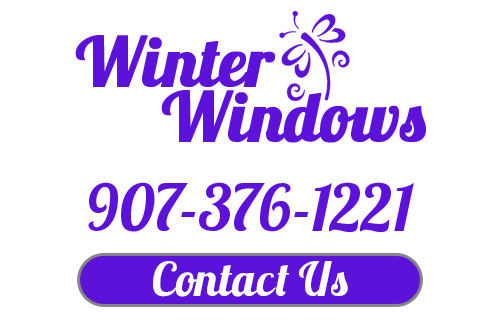 If you are looking for a professional Anchorage shutter company, give us a call today at 907-376-1221 or fill out our online request form.